Select from over 100 golf courses along the coast of North and South Carolina for your golf vacations. Whether it is Myrtle Beach Golf vacations you desire, packages for the low country courses of Hilton Head near Charleston, South Carolina, world famous Village of Pinehurst golf packages, historic Wilmington golf packages, or the Brunswick Isles of North Carolina, we offer the best vacation rates. Browse our website for further details on some of the top individual golf courses, as well as a full list of other available courses in each area. Plan a retirement trip, a company outing or a getaway for two, one call is all you make. 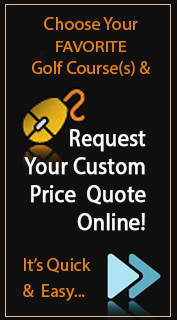 Our free golf vacation package quotes include lodging, cart & green fees, any surcharges, and all taxes. Customer service is our number one priority. Feel free to contact us for more details or fill out the form on our website to request further golf vacation package information. Customized Myrtle Beach golf packages, Village of Pinehurst golf packages, Wilmington or Hilton Head golf vacations suited to your individual needs are just a phone call away! Let us set up a vacation package to accommodate your desires today! Platinum Golf received the 2009 Best of Leland Award in the Golf Services & Professionals category. When selecting a golf package, which of these is MOST important to you? "If I'm on the course and lightning starts, I get inside fast. If God wants to play through, let him."